The actor Christopher Evan Welch died yesterday at a Los Angeles hospital, following a brief illness. Reports on his exact age vary, but most sources believe that he was 48. Welch began his career doing voice work in the 1993 animated series The Adventures Of Sonic The Hedgehog. Four years later, he made his Broadway debut in London Assurance; in 2000, he won an OBIE Award for his performance as Mitch in an off-Broadway revival of A Streetcar Named Desire. 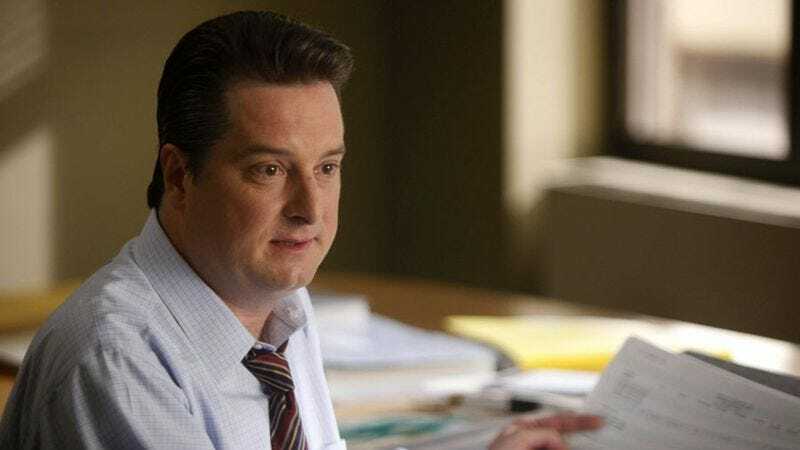 He kept busy for the next 13 years, juggling frequent stage appearances with movie and TV work, including roles on The Sopranos and The Good Wife. His many film credits include Al Pacino’s Chinese Coffee (2000), the 2004 remake of The Stepford Wives, Lodge Kerrigan’s Keane (2004), Sydney Pollack’s The Interpreter (2005), Steven Spielberg’s War Of The Worlds (2005), Lasse Hallstrom’s The Hoax (2006), Robert De Niro’s The Good Shepherd (2006), and Charlie Kaufman’s Synecdoche, New York (2008). Most recently he could be seen in Paul Thomas Anderson’s The Master (2012), playing a man whose hostile questioning of Philip Seymour Hoffman’s cult leader earns Hoffman's wrath (and later Joaquin Phoenix's), and in Spielberg’s Lincoln, as Edward McPherson, clerk in the House of Representatives. He was also the narrator of Woody Allen’s Vicky Cristina Barcelona (2008). In 2010, Welch had a regular role as a surly intelligence analyst on the AMC series Rubicon. When he fell ill, he was shooting Mike Judge’s new HBO series, Silicon Valley, where he had a starring role as an eccentric billionaire.